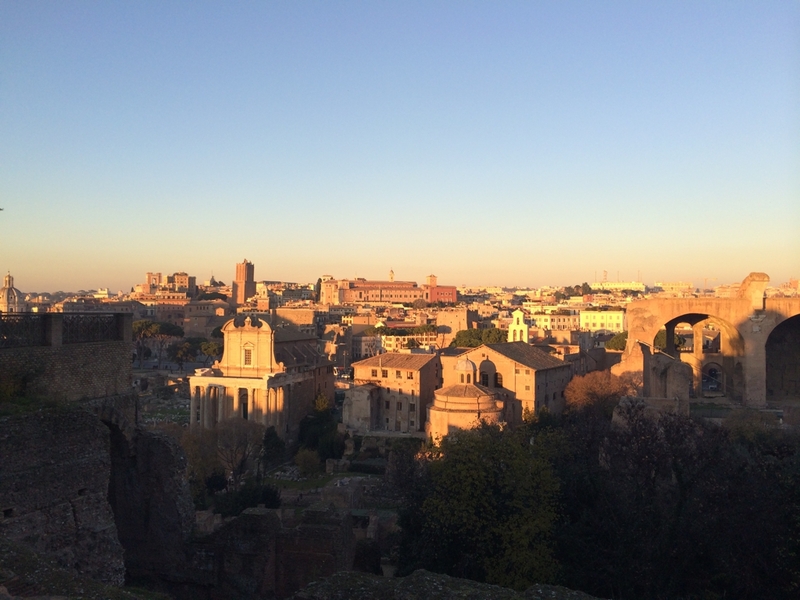 Ahhh Rome… the eternal city! The city of love and romance, of art, literature, architecture, monuments, history, food, gelato and wine. An ancient and authentic place, where you constantly step on history, a city on everyone’s bucketlist – if not, it should be. Rome is one of the major tourist destinations in Europe, according to Forbes it is the 14th most visited city in the World. And there is probably no need to visit the city to know how stunning this place is, though who wouldn’t like to see it with your own eyes? 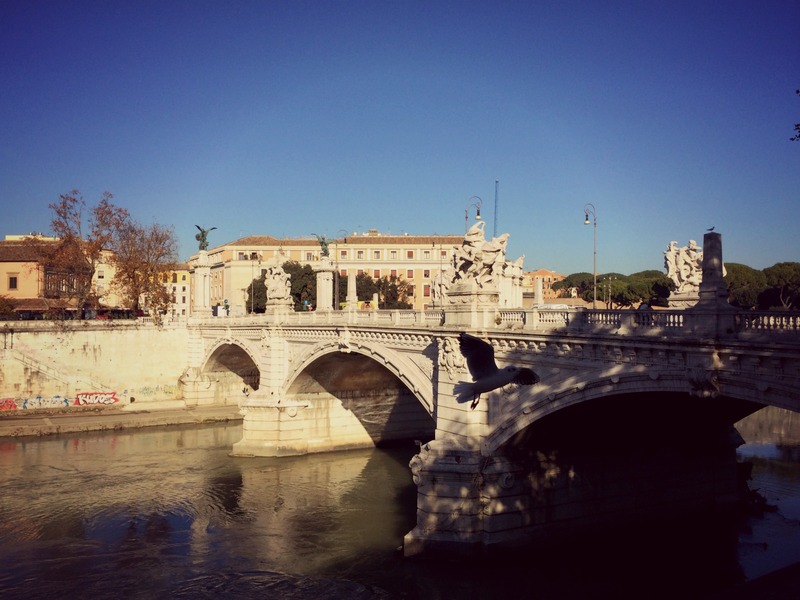 There is so much to see and visit in Rome, that it can be difficult to embrace everything in a short stay in the city. The main attractions are not often close to each other, and one must consider making a plan beforehand in order to enjoy the most of the eternal city. Constructed in 72 AD, the Colosseum is probably the most visited attraction in Rome. This amphitheater is the largest ever built by the Romans, with capacity for 50,000 people. Don’t underestimate the power and beauty of these ruins, from the outside and especially from the inside, you will breath pure history at the Colosseum. A must visit in Rome. Buying your ticket in advance, especially during the summer season, is highly recommended. 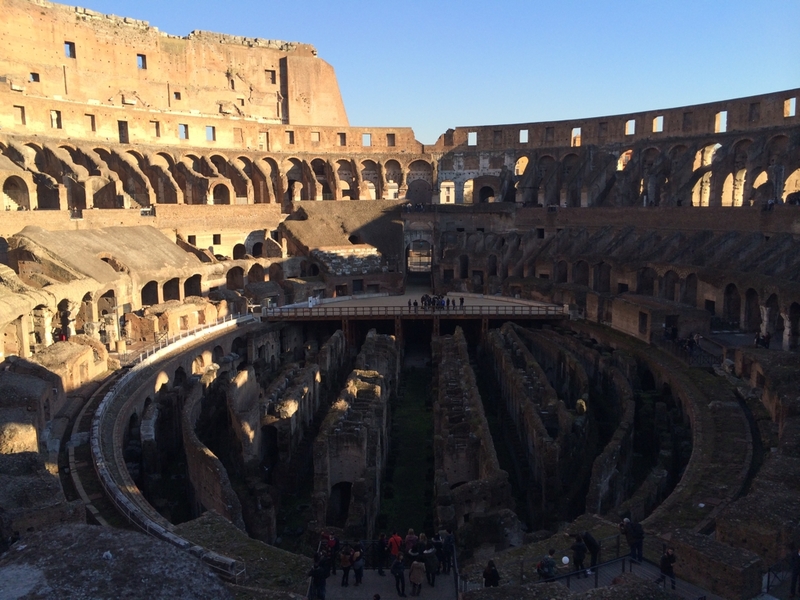 For a deeper understanding of the Colosseum’s history get an audio guide. The Palatine Hill is one of oldest parts of Rome, where there are signs that people lived here since around 1000 BC. The remnant ruins of this place are incredible -where you literally step on history – and the view it provides to the city is simply unique. The Roman Forum is located right next to the Palatine Hill. It used to be a place where elections, processions, public speeches, criminal trials and many other major public events happened. The Palatine Hill and the Roman Forum are located right beside the Colosseum, making it easy to visit all three attractions in one day. Be aware that this attraction requires a certain amount of time for a visit; it is like an enormous open-air museum. Don’t leave it for the end of the day. It is possible to buy a ticket that includes the Colosseum, the Palatine Hill and the Roman Forum, which can be used during 2 days. When crossing the Sant’Angelo bridge is already possible to admire this stunning Castle, which used to be the tallest building in Rome. The Castel Sant’Angelo was formerly the mausoleum of the Roman Emperor Hadrian and his family. It was also used by the popes as a fortress and a castle, as well as a prison, nowadays it is a museum. If you are not into museums or don’t have enough time to go in, taking a look around the Castle and the garden around is already worth the visit. Perfect picture spot: from the bridge Sant’Angelo. Within waking distance from the Castel Sant’ Angelo is the Vatican, where the center of the Catholic Church concentrates, at the Basilica of St. Peter. At the same time that the Vatican is the smallest country in the World – with 0,44 square meters – the Basilica of San Peter is the biggest church in existence. Visiting this tiny country within Rome is a must, even for those who follow other religion beliefs or are not that into religion at all. Here it is possible to visit the tombs of the past Popes, and in certain days of the week, it is possible to see the current Pope giving his blessings from his famous window. Even being a small country, there are many things to see in the Vatican like the museum, the Sistine Chapel, the Basilica itself, and more. To enter the Basilica and the museums it is important to dress appropriately, pass through a security check and show your passport. The entrance to the Basilica of St. Peter is free, but for the museums and Sistine Chapel you need a ticket. 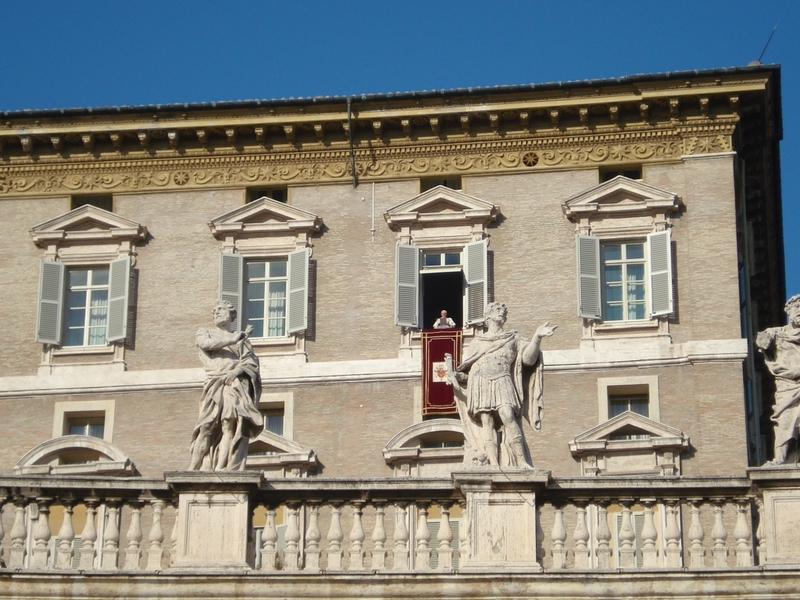 If the pope is in Rome, he always appears at the window on Wednesdays and Sundays. For more information about the schedule and messes click here. If you are in the Vatican on the 24th of December, you might have the chance to watch the midnight mass. There is no entrance fee for this event, only standing in line. Located at the west side of the River Tiber – just above the Vatican – this hill offers one of the most amazing views over Rome’s landmarks. 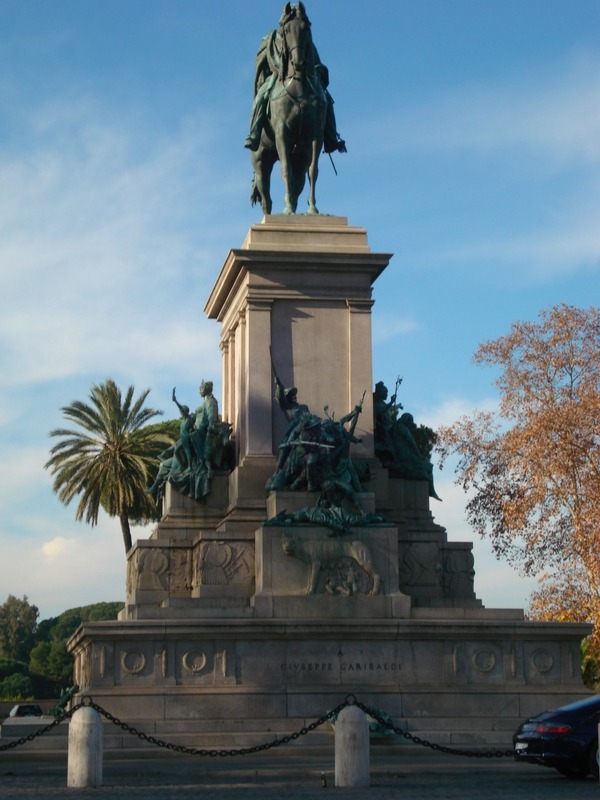 Here there is the famous statue of the Italian hero Giuseppe Garibaldi mounted on his horse. A quiet place to finish your day with a sunset over the city. Probably the most famous fountain in the World, the Fontana di Trevi is the largest Baroque fountain in Rome and has appeared is several movies throughout the years. Apart from its history, it is a tradition to throw coins into the fountain: with your right hand to your left shoulder. It is said that you have to throw three coins, to each one you can make a wish, though one of them should be: return to Rome! So far it has worked for me… should I be looking forward to my 4th time in the eternal city? Enjoy your visit to the fountain to relax and have a gelato in one of the many options around. The fountain is beautiful at any time of the day, but somehow I find it at night even more amazing! The old town of Rome is probably the most beautiful one you will ever visit. Here you will encounter an array of restaurants and bars, squares such as the famous Piazza Navona, museums, souvenirs, painters and their wonderful art, Vespas everywhere, noise and people, stores and buildings that were built centuries ago. Enjoy, but be careful not to get lost! Most people don’t consider visiting or even passing by this tiny island in the shape of a boat, which is located in the Tiber River. 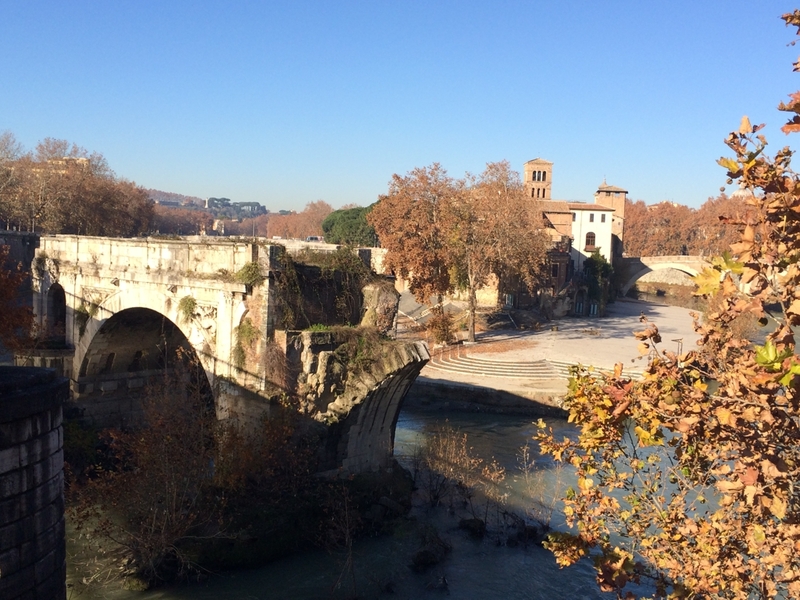 Tiber Island is one of the most ancient islands in the World, with more history than one might imagine. It used to be the temple of Asclepius – the Greek god of medicine and healing – constructed some time around 293 BC by the Roman Senate with the belief to make the plague go away. The island has always been associated with medicine and healing since then. Also known as the “hole of Rome”, this is not an attraction normally among the top 10 of Rome, and most people don’t even know it exists or even how to find it. 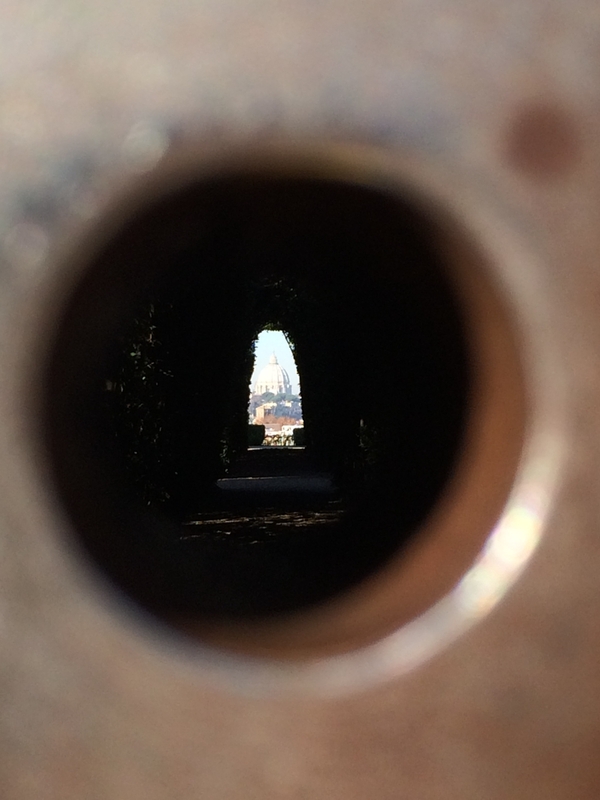 The special thing about this keyhole is that looking through the tiny hole, you have the perfect centered view of the Vatican. Some of you might remember it from the movie The Da Vinci Code. To find this place you need to go to this address: Piazza dei Cavalieri di Malta, 3. It is important to mention that it is only a closed door, there is no number on it and it is not possible to enter. 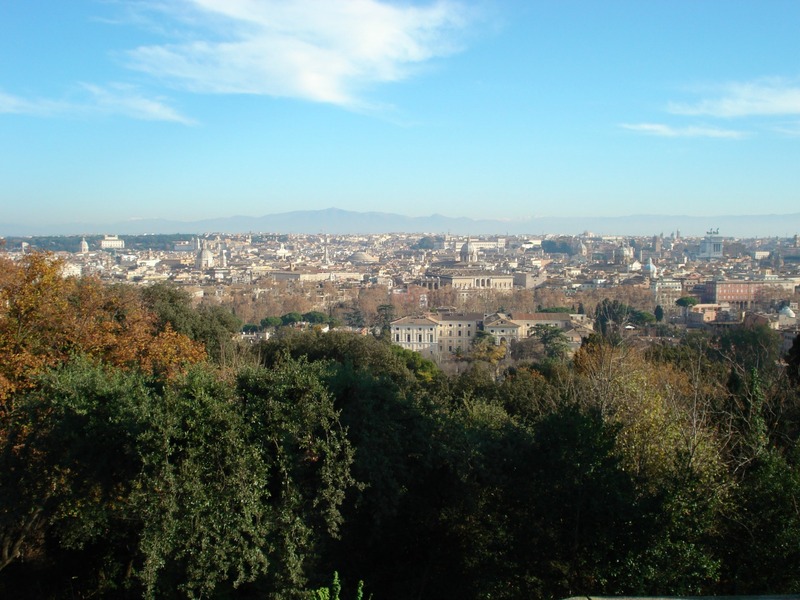 Enjoy your time around this part of the city and contemplate amazing views over Rome from the nearby gardens. 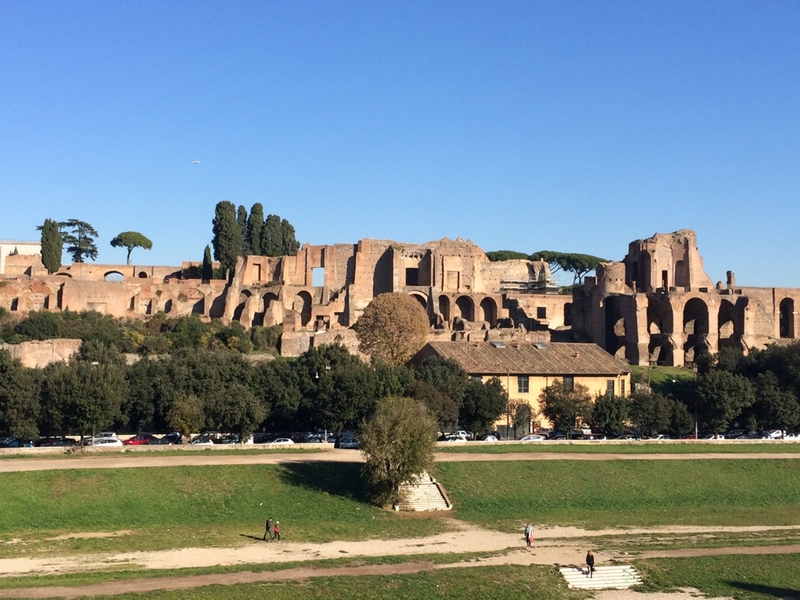 If you don’t mind walking, from here you can go by foot to the Palatine Hill and Roman Forum. I highly recommend staying at Hotel Rinascimento. It is a very well located hotel, within walking distance to almost all attractions in Rome, very easy access to transportation, right at the Centro Storico, with great rooms and an amazing croissant for breakfast! Now tell me… have you ever been to Rome? Any plans to go? Fabulous list! Hubby is Roman, so we go there often….love the “key hole!” Brava! I didn’t know your Hubby is Roman, how cool!!!! SAME THING here!! I love Rome too, and this city certainly exceeded my expectations too!! There is so much to explore in this city that every time I go I find a new place to visit! 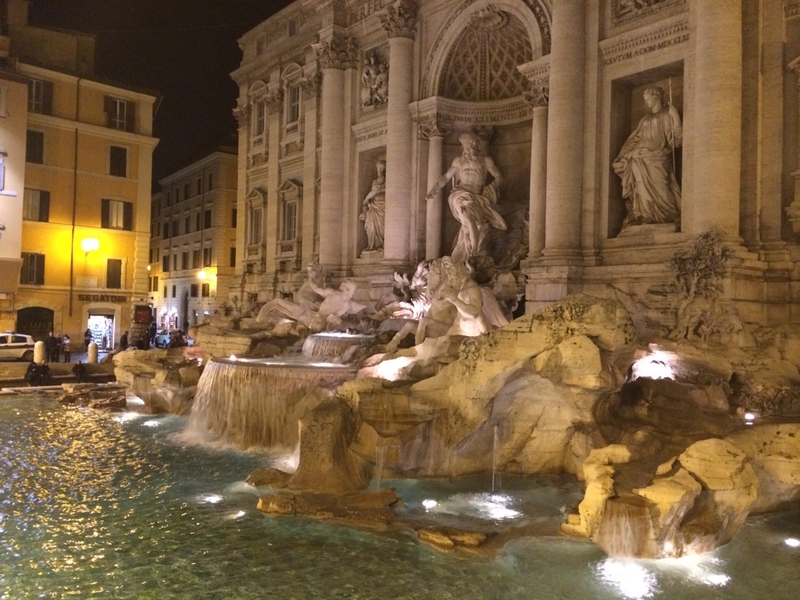 Great round up although i think Piazza Navona deserves an entry on its own. And Campo di Fiori! Fair enough 😀 you are right! Oh wow! ROME! 🙂 Thanks for posting this, I am going to bookmark it for my trip there in September. The Coliseum is simply incredible, one of the best 10 attractions in all of Europe (that’s a good idea for one of your future posts ;)), but do you know if Trevi Fountain is still “dry”? They were doing work on it last year and it was not flowing. I don’t want to turn up there and not be able to see it in all its glory! 🙁 Oh and the Keyhole of Rome is awesome, I must find it when I make the trip! I wish there was something like that in Asia somewhere…. Yaaayy awesome, perfect timing for you to use the tips for your visit, how exciting that you are going to Rome this year! About the fountain, I can’t tell you because last time I went there it was December 2013 and it was all right. The keyhole is awesome!!! I was very happy that I managed to find it! It was a bit tricky, but I did it 😀 and the area where it is located it pretty nice! 😀 let me know if you need any further tips, I will try my best to help you! hahaha 😀 I got it! Thats pretty sad 🙁 and someone told me that the Coliseum is also under construction! I’ve never been to Rome, but really want to go! Beautiful pictures…Ooooo, I could just pack up my suitcase right now! Rome is a city I am sure you would love to visit 😀 I don’t know why, but something tell me you would have a lovely time there!! So I hope you do go sometime!! It’s like you read my mind… I am going to do a Time Travel post on Rome soon. It’s my favourite city in the whole world. Thanks for taking me back there through your wonderful photos. Ohh yess, when I was writing this text I was thinking of you, because I remembered reading a post of yours about Rome I guess, and you said you loved the city!! I will look forward to reading your post about the eternal city!! I checked off almost all of these sights when I visited Rome in 2008 (plus the Pantheon – surprised it wasnt on your list). The inside of the St Peter’s Basilica took my breath away with the enormity of the space. I stayed in the old town and loved it, and overall the city felt so alive and intense. Yess the Basilica is amazing!!! I am always impressed when I go there. I still didnt visit the Pantheon, I have to do it next time!! 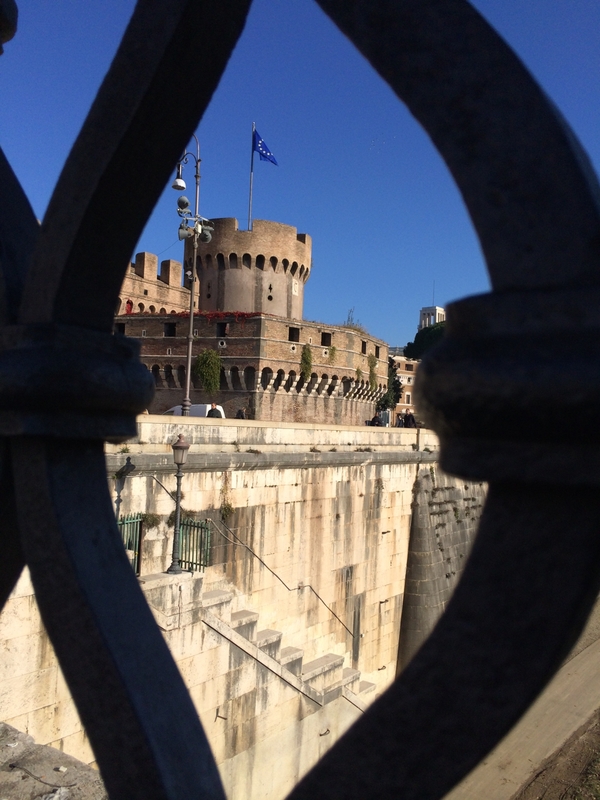 There is still so much to see in Rome… and I still need to find a good restaurant there!! This is a great list! I have only been to Rome once, but am itching to get back (and was just taking about it this week!). I have not been to all the places on this, and haven’t even heard of some, so will make sure to add them to the list when I return! Thank you dear 😀 happy that you liked it!! 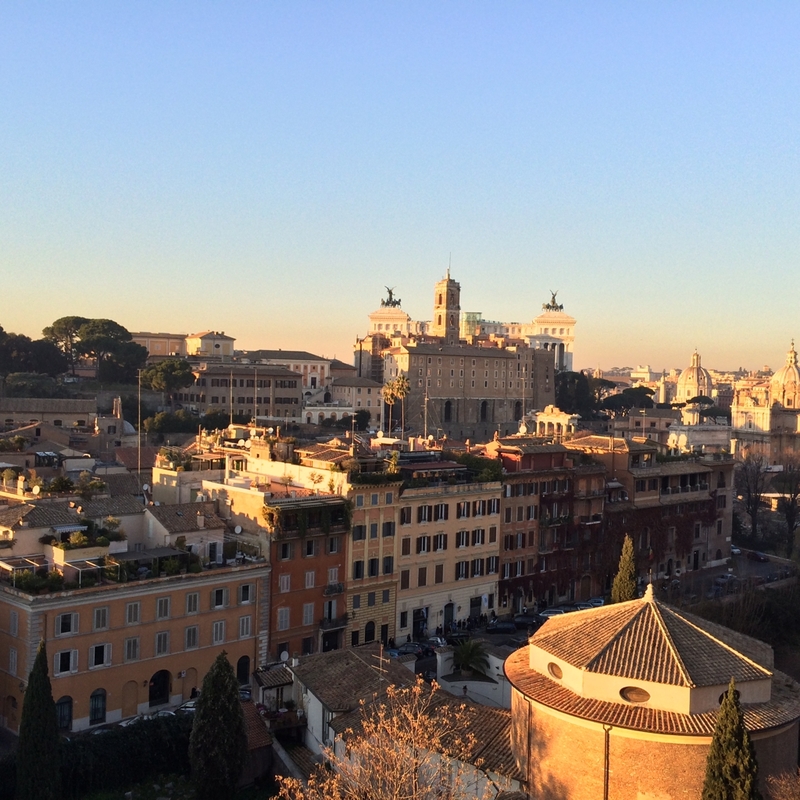 It is always so good to be back in Rome… I still have so many places to visit there! There is so much so see that I think we will always have something new to discover in Rome! Great tips! I am trying to plan a trip to Rome this year and definitely want to make it to most of these places! Its pretty hard to find a gem in Rome indeed… even the gems you will still find some people haha… the keyhole for example is already becoming popular! What a lovely narration of the beautiful locations of the fantastic place of Rome. I have not yet visited and when I visit it will be your wonderful guide notes next to me to enjoy the place, I am pretty sure nothing better way to explore the city than your tips. Yes, I have heard a lot from my relatives who have visited and really appreciated the Colosseum, the Fontana di Trevi Fountains… you visited many times and you with an eye for details and lovely thoughts on appreciating and analyzing such places with historical significance, no body better could have captured the thoughts and the images the way you have done. cheers for your great travel and wonderful description…happy travelling. I hope someday you get to visit Rome… it is no doubt a fantastic city. I am sure that you would describe it even better than me! So, you are very much in the snow world…managing between these two extremes, how do you do it. Some times it is fun but for a longer time it needs adjustment. I think you have developed this wonderful dexterity. And especially today is pretty cold.. -9C oh my! Great to have those lovely coffee in such deep cold…but minus 20 is too strong for me to resist. Yes, we have a wonderful place called Gulmarg in Kashmir is a superb place for skiing, been there but not in winter, so have missed the skiing…will be trying out soon. Ohhh that sounds awesome! I hope you do go skiing there sometime, I would love to read about it! I want you to visit whenever you get the time, my sincere request and I am sure you will always thank me for insisting this visit and you should do during the winter for skiing or just at the fad end of the season where you can witness the magical garden of tulips and many other rose gardens…lovely people and the place so beautiful. Yes, I am no way comparing with other such beautiful places, others are equally beautiful but there is something different. I will let you know if one day I go!! Thank you! That little Isola Triberina island sounds just lovely – I didn’t even know about it when I went to Rome a few years ago now – I’ll definitely bookmark this for a future trip to Rome. I’d like to return as my hubby has never been! I love discovering new places in a city, especially in Rome! I hope you do make it to Rome sometime soon 😀 fingers crossed! It is a wonderful city! 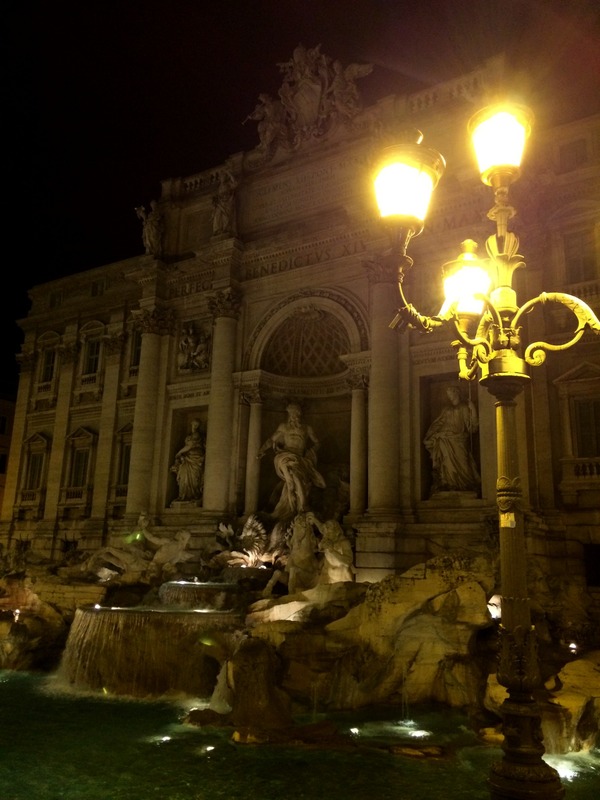 Your husband is right… it is a wonderful city, I am always happy to return to Rome!! Thank you 😀 I am happy that you liked it!! Great post Allane! I went to Rome years ago now and there are lots of things on here that I didn’t even know about back then such as Isola Triberina which sounds so pretty 🙂 I’ll have to go back one day and hopefully take my husband with me as he has never seen Rome! 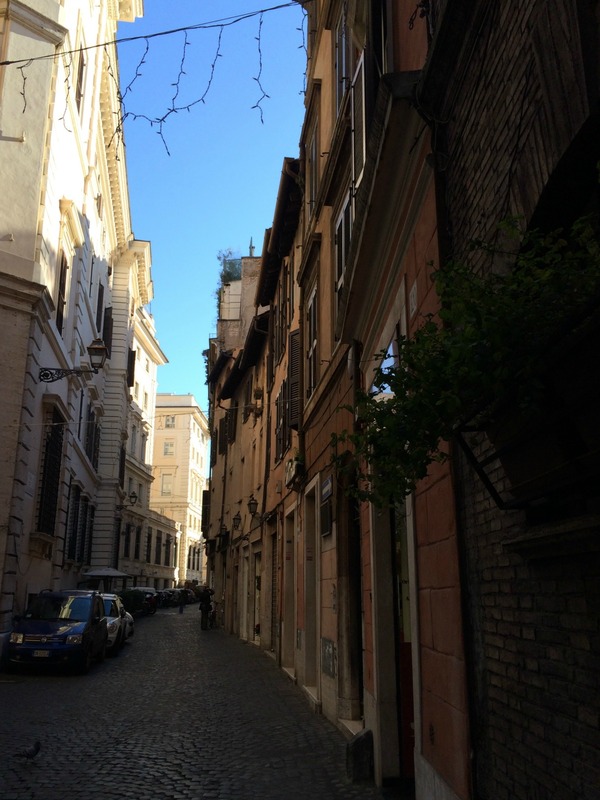 Rome has so many wonderful places to visit that every time I go I find something new… I love that! Had to show these pix to my 7-yr-old who studied European geography and history last yr. =) Great post. Thank you 😀 happy that you liked the post!! Rome is a beautiful place. It’s a historical place too. There are many historical and amazing places to visit. Colosseum, Basilica San Clemente, Janiculum Hill, Campo dei Fiori Market every place are very beautiful. Every travelers love Rome for his beauty. Thank you so much for reading and for stopping by! Rome is the most beautiful city in Italy. It offers a lot of attractions for visitors. I personally visited there before my nyc grand central terminal tour. Here I want to share a few name of famous attraction in Rome. Hi Jani! Thank you for your comment! 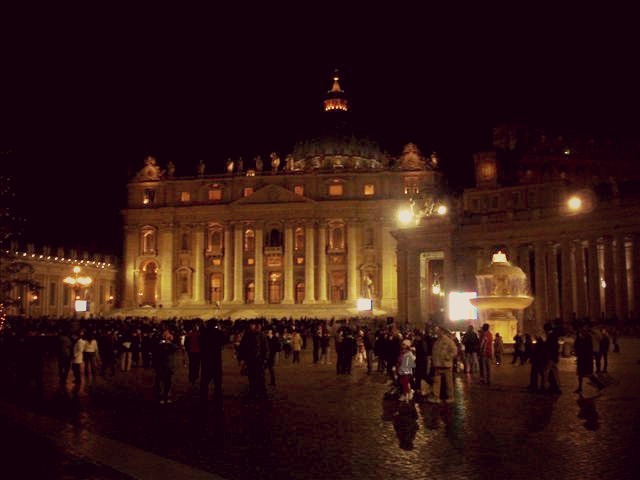 Rome is indeed amazing and I never get tired to go there!